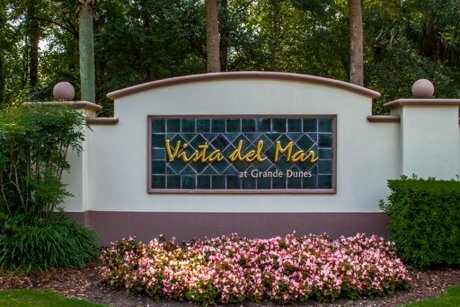 Vista Del Mar at Grande Dunes - A Lifestyle That You Richly Deserve! Did you ever hold a seashell to your ear and hear the ocean inside calling you to return year after year to the Grand Strand? 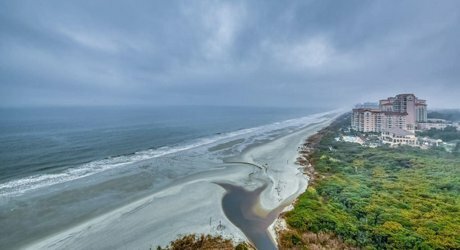 If you listen carefully now, you might hear the sea beckoning you to come home to a Vista Del Mar condo inside the prestigious Grande Dunes community in Myrtle Beach. Ownership in this property offers you upscale living at its best with all of the amenities that you would expect from a premier development that is one of the most highly sought-after addresses along the East Coast. From your location right on the beach to the convenience of nearby businesses, Vista Del Mar will be the ideal location to begin the lifestyle that you so richly deserve. Your villa inside Vista Del Mar will be spacious, have an open floor plan, and a private balcony on which you can enjoy your morning coffee punctuated with a spectacular sunrise that gets your day off to an excellent beginning. You’ll love your fireplace, your modern kitchen where you can create dishes that delight your loved ones, and the master suite that pampers you in style and sophistication as you prepare for another day of wonder and amazement in paradise. The special appointments throughout your villa will enhance the comfort and relaxation that you experience and the appeal that it offers to family and friends when you entertain. The quality of construction, the art of the craftsmen who have worked to build your lovely villa, and the attention to details make your villa at Vista Del Mar an exceptional investment. Your Vista Del Mar property gives you access to world-class amenities that offer you opportunities to relax, make friends, and keep your health and well-being in great shape. Meet friends for dinner at the Ocean Club, enjoy an exhilarating match at the Tennis Club that features Har-Tru courts, or take advantage of the state-of-the-art fitness center and pool. Relax in your own cabana on a private beach or by the pool or play a round of golf on one of the two award-winning golf courses to keep your energy level up to par. Living at Vista Del Mar in Grande Dunes places you close to excellent shopping, fine dining opportunities, and world-class entertainment that is second to none. Whether you visit museums, gardens, or amusement parks, you’ll find plenty of exiting activities to do day or night in Myrtle Beach. Come let panoramic ocean views, gentle ocean breezes, and Coastal living at its finest be your guide to a lifestyle that you’ll come to enjoy more each day at Vista Del Mar. Vista Del Mar consists of two oceanfront high-rise condominiums that deliver breathtaking views of the Atlantic Ocean. This Grande Dunes Condos community features luxurious three, four, and five bedroom floorplans are available, ranging from 2700 to 4100 heated square feet. Vista Del Mar has its own amenities including a pool, clubhouse, private elevator access, and the security of a gated entrance. It is located just off of 82nd Avenue and Ocean Boulevard and is within walking distance of the beautiful Grande Dunes Ocean Club. 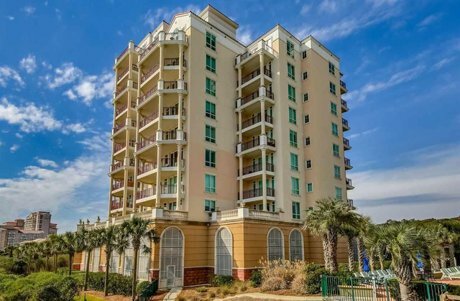 Vista Del Mar is truly a one of kind community among Myrtle Beach Oceanfront Condos. 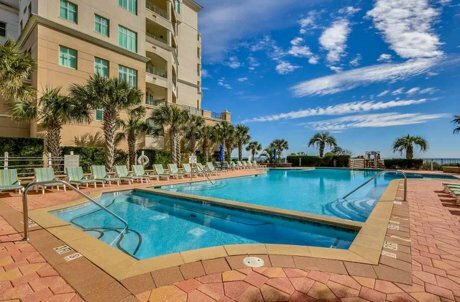 For more information about buying or selling luxury Myrtle Beach oceanfront condos in Vista Del Mar or any other Grande Dunes Condos contact Beach Realty Group today at 843-424-6900. 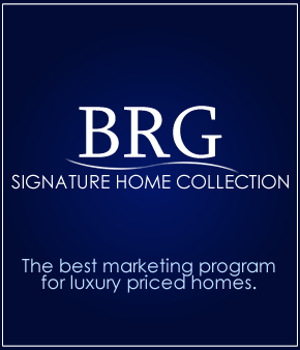 And be sure to check out other Grande Dunes condo options at Villa Marbella, Villa Firenze, and Marina Inn. Vista del Mar 2 Bldg. Listing courtesy of Scalise Realty at North Beach , Debbie Davis. Listing courtesy of RE/MAX Southern Shores GC , Victoria Wells. Listing courtesy of Tradd Residential , Boineau Team.